Ventura County Farm Day celebrates the hands and lands that feed us. 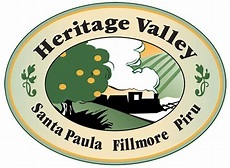 This annual multi-location event features tours and activities at more than 20 working farms in Ventura County. Now in its fourth year, the day was designed to to help kids understand the true origins of their food. Mary Maranville founded Students for Eco-Education and Agriculture (SEEAG) in 2008. Even with Ventura County’s rich agricultural heritage, children don’t make the connection between the acres of farmland around them and the food on their tables. This education program helps make that connection. Providing kids with field trips to local farms brings the message home even further. The mission of SEEAG is to educate students about the farm sources of their food from field to table while connecting them to the farmland in their own backyards. This program teaches kids why they need to care about plants, gardens and agriculture and inspires the next generation to become thoughtful consumers and contributors to the food system. SEEAG’s Agricultural Education Programs—‘The Journey of Our Food From Field to Fork’ and ‘STEM-based Careers in Agriculture’—is offered to schools throughout Ventura and Los Angeles Counties during the school year. To learn more about our education programs visit the SEEAG.ORG website here.